It’s often said that open hips and open hamstrings are the key to having an open heart. This class is a fun variation on our signature Power Vinyasa that focuses on diving deep into opening and strengthening the often tight hips and hamstrings. 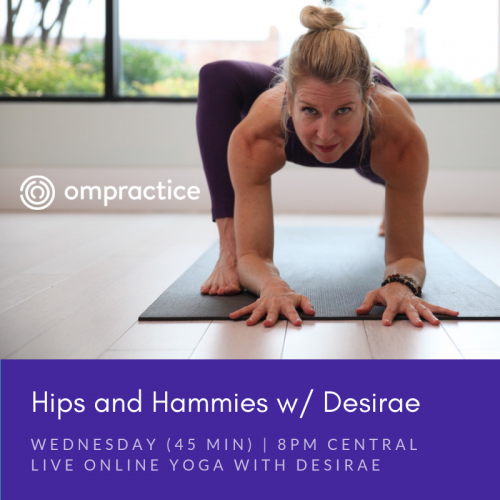 Be prepared to open your body during this hip and hamstring focused flow that includes standing postures, balancing poses, inversions, and backbends. Deep, soulful music may accompany the flow. Learn more about Desirae here.